he premiere Fargo Home Inspection company providing Home Inspections and Radon Testing. Serving Fargo, ND, West Fargo, ND and Moorhead, MN. Northern States Inspection has had the privilege of serving the Fargo-Moorhead area as a full-time professional Home Inspection company for the past 25 years. Over these 20+ years, Northern States Inspection has helped thousands of home buyers, just like you! Buying a home is an investment that does not end with the initial purchase price. My goal is to prevent you from paying for unexpected post-closing costs! But aren't all Home Inspectors the same? You are making one of the largest investments in your life. Choosing the wrong Home Inspector can be a very costly mistake. What happens when you move in and then get stuck with post closing costs because the Home Inspector you hired didn't have the proper training or experience? What happens 2-3 years from now and you have problems? Is your inspector still going to be around to answer your questions? What you need is a home inspector that has your best interests at heart. You need someone who has the experience to find the problems and a proven and professional method to present the problems to you in an understandable way. A way that makes sense to you and does not scare you. You also need an inspector that will be there for you after you move in. Someone you can call with questions and get an unbiased answer. I always tell my clients that when you hire me you are my customer for life. Don't settle for less. What is included in a Home Inspection from Northern States Inspection? Our home inspections cover all major systems including the roof, structure, electrical, heating, cooling, insulation, plumbing, interior rooms and exterior. I also do a complete electrical branch circuit analysis at no extra charge and I have sub-surface moisture testing equipment available, if needed. Electronic Radon Testing is also available. Our comprehensive reporting system, with its' narrative report allows us to create a report that is tailored exclusively to your new home. You will also have your report within an hour or two after the inspection. 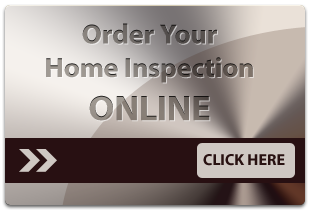 Northern States Inspection is a full-time, full-service home inspection firm. Over 6000 inspections completed since 1994. Northern States Inspection is registered in the State of North Dakota. Northern States Inspection is fully insured for your protection. Northern States Inspection has built a reputation based on professional, courteous and technically accurate service. Northern States Inspection has the most comprehensive reporting system in the industry. Northern States Inspection provides FREE consultation for the life of your home. When you hire us, you hire us for life. 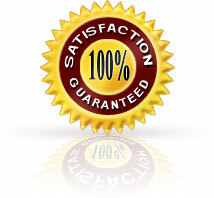 Northern States Inspection is so confident in the quality of our service that we guarantee our customers satisfaction. To schedule your inspection call 701-282-5501 or CLICK HERE to Schedule Online. It is with pleasure that I write this letter to recommend you to all prospective homeowners. I would like to thank you for the home inspection you performed for us this year. You were very professional and honest, and capable. Thank you for identifying some house issues that are being nicely resolved.